Dilarshad Enterprise is having its own plantation with the Coconut Triangle of high yielding Coconuts, and cultivates a wide range of Tropical Fruits and Vegetables for Export using modern technology. 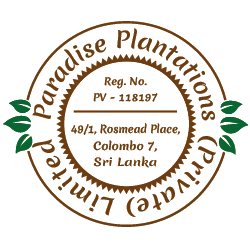 Padilihena estate is the model farm of Dilarshad Enterprises which is situated in Kurunegala District Bingiriya area. Coconut is the main crop in the Farm but Fruit crops, Vegetable crops and Tropical fruit crops are cultivated under the inter cropping system and Integrated Farming System. The company hope to make it as a fruit Orchard in the future. The system of intercropping with coconut is most used in cultivations. It has 30 acre and it’s divided in to cultivation units.